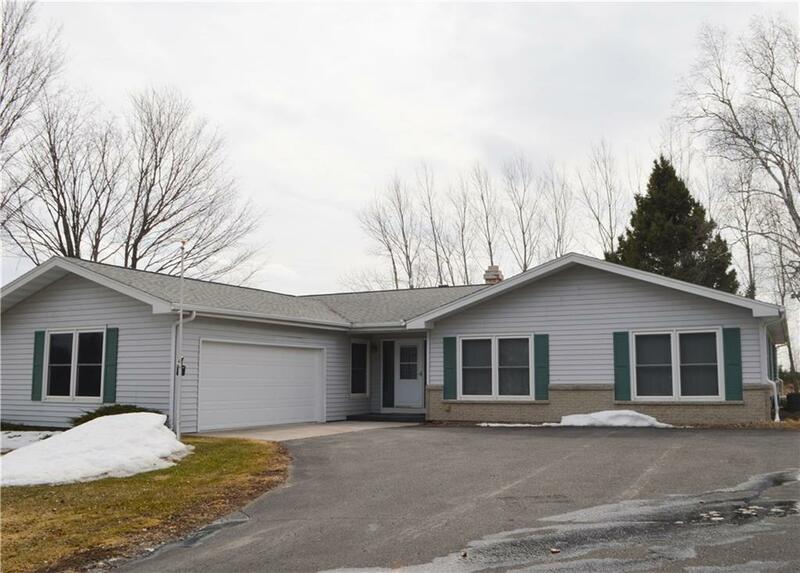 YOU SURE DON'T WANT TO MISS SEEING THIS HOME; 4 BDRS, 2 BATH RANCH HOME WITH FULL BASEMENT; DOWNSTAIRS FINISHED REC. ROOM. FORMAL DINING RM FOR ENTERTAINING FRIENDS & FAMILY ; LOTS OF WOOD KITCHEN CABINETS WITH SNACK BAR FOR QUICK MEALS; NICE FAMILY ROOM. GREAT PLACE TO RELAX RIGHT OFF THE KITCHEN WITH COZY BRICK FIREPLACE. PATIO DOORS ACCESS TO 18'x 22' COVERED PATIO. QUALITY UPGRADE VINYL WINDOWS; 2 CAR ATTACHED GARAGE; ASPHALT DRIVEWAY; DON'T WAIT CALL NOW FOR COMPLETE DETAILS!!! Directions: From Hwy 48 West In Rice Lake To Left On Wis Ave. To Right On Augusta St. To Home#1814. Left Side Of The Street.